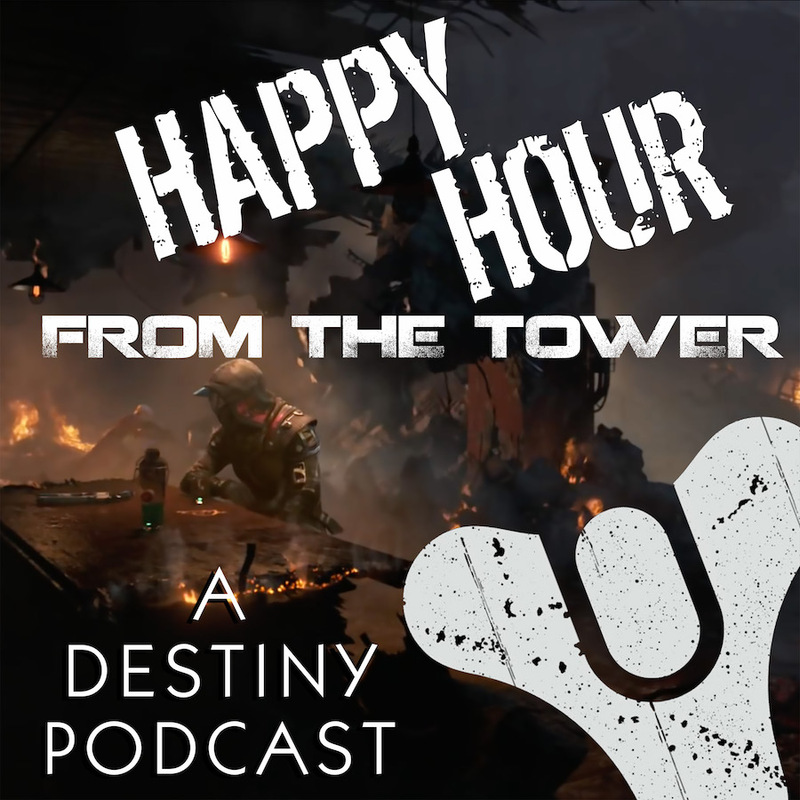 When the guys at the Tower wrapped their interview with the voices behind Amanda Holliday and Field Commander Sloan, they figure it would be a stretch before they got the opportunity to interview any more of the talented voice cast behind Destiny 2. Tee, nick, and Brandon open up the mics for one of the newest voices in the Destiny-verse as well as someone brand new to video game voice acting. It’s the multi-talented Joy Osmanski (Failsafe), making herself right at home in a community that welcomed the dual-personality A.I. with open arms and rave reviews. Joy gave a voice and a personality to the wise-cracking computer that, the guys argue, walked away with some of the funnier lines in the game; and now, the actress known for appearances on Grey’s Anatomy, Castle, and Santa Clarita Diet, finds herself much like Failsafe: in alien territory. Remember, Guardians, to leave us (and Joy) your feedback at 703.791.1701 or podcast (at) happyhourfromthetower (dot) com. We’d love to hear from you! So would Failsafe. And Failsafe, as well. #TitanTuesday on Tee’s morning Twitch broadcasts (archived here on YouTube) are opening his eyes at the appeal of the class. The guys giggle at new drop-in’s Tee picked for the show. Picking up a theme in the drop-in’s. HOLY HANNAH IN A HANDBASKET THE SEQUEL, FAILSAFE IS ON THE SHOW!!! Hold on. Joy is nervous about being on this show? Wait — this is Joy’s first go-round in video game voice acting?! Mad props to Destiny 2 Voice Director Kevin McMullan. So, it wasn’t how she prepped for this, so much as she just took a leap of faith. The Guardians offer their services for Joy as sherpas. Nathan Fillion was the comic relief…until you reach Nessus. What is the inspiration behind the performance in Failsafe? The line between Joy and Failsafe is a thin one. For a computer, Joy brings a lot of emotion to your performance, especially the “O Captain” quest. (SPOILER ALERT!) As an actor, how does Joy bring emotion to a character that is a computer? More mad props to Kevin. Other jobs that Failsafe could do between her Destiny 2 and DLC gigs. The Guardians are determined to help this self-proclaimed luddite deeper into this world. When running with the guys in D2, remember this rule: NO TALKING WHEN FAILSAFE TALKS. And Tee calls out Courtnay and Cissy. So it begins. This podcast is now officially one degree from Kevin Bacon. There’s a LOT to Joy Osmanski. Is Nathan Fillion professionally stalking Joy? Joy may not be a Guardian..but she is a Browncoat! Big shout-out to Courtnay and Cissy who would make great con sherpas for Joy. What other projects are coming up for Joy? And she’s not slowing down anytime soon. Where you can find Joy online?